Head outside this weekend to enjoy one of several music festivals and events around Arkansas. If you have children, you may want to check out the paper airplane event in Little Rock or consider taking them to the comedy/magic show in Hot Springs. Outdoor enthusiasts will enjoy watching the mountain bike races at Devils Den State Park. Plus, we are about to usher in a new season in Arkansas, so pumpkin-lovers rejoice — Pumpkin Hollow is ready! Jazz Eureka celebrates 33 years of jazz music in Eureka Springs with a stellar lineup of outstanding musical acts. Kick off for the Jazz Eureka Festival is on Thursday, Sept. 13, with a Roaring 20s Party on the lawn at the 1886 Crescent Hotel. 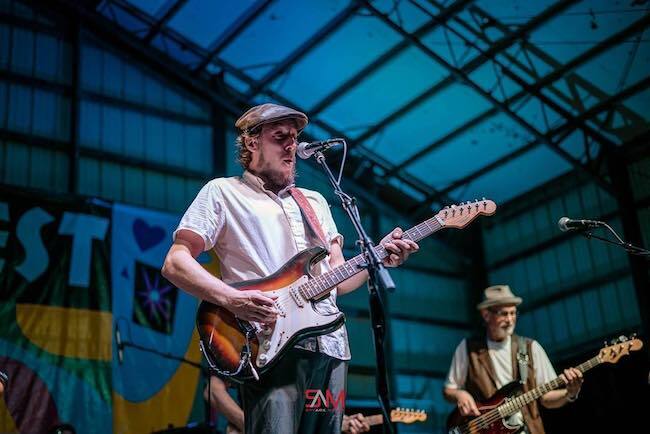 This year’s performers in Basin Spring Park’s FREE concerts include Lao Tizer’s Band on Friday and Saturday and Blair Crimmins and the Hookers also on Friday. Four-time Grammy Award winner and 19-time Grammy Award nominee, Larry Carlton, is the headline act on Saturday. 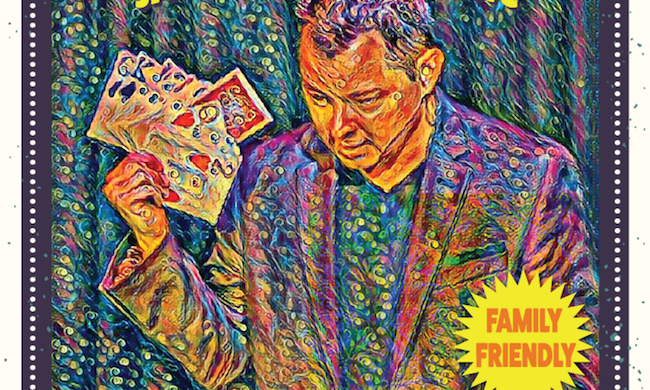 The comedy magic of Scott Davis is a laugh-filled evening of amazement your whole family will enjoy. This family-friendly event is filled with jaw-dropping magic and side-splitting comedy. 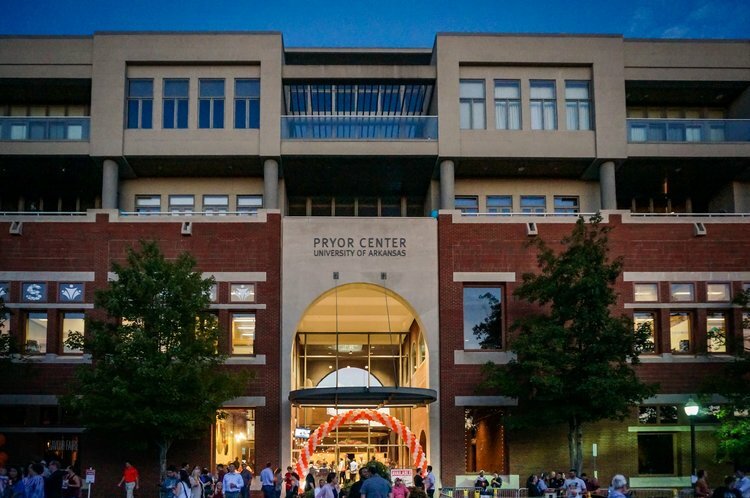 Meet the startups in Fayetteville – the Startup City of the South! 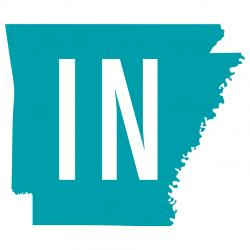 The event highlight technology and innovation in Arkansas with 40+ companies featured, three concerts, food trucks and craft beer. 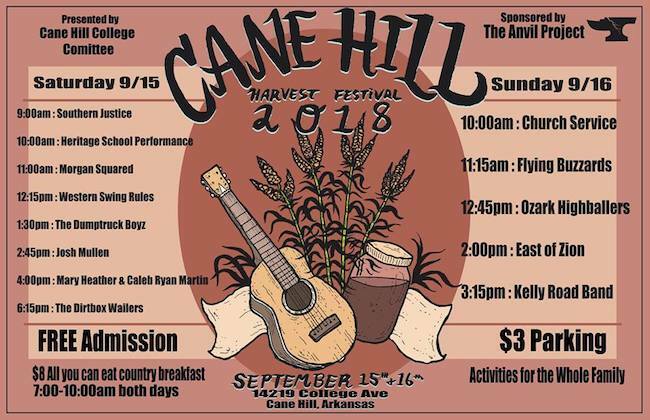 Time: 4 – 9:30 p.m.
Cane Hill Harvest Festival includes live music, food, arts and crafts, a quilt show, tractor show, children’s games and a petting zoo. There will also be demonstrations on making sorghum molasses, lye soap, hominy and other attractions. Come watch, listen, relax and enjoy the lifestyle of yesterday. 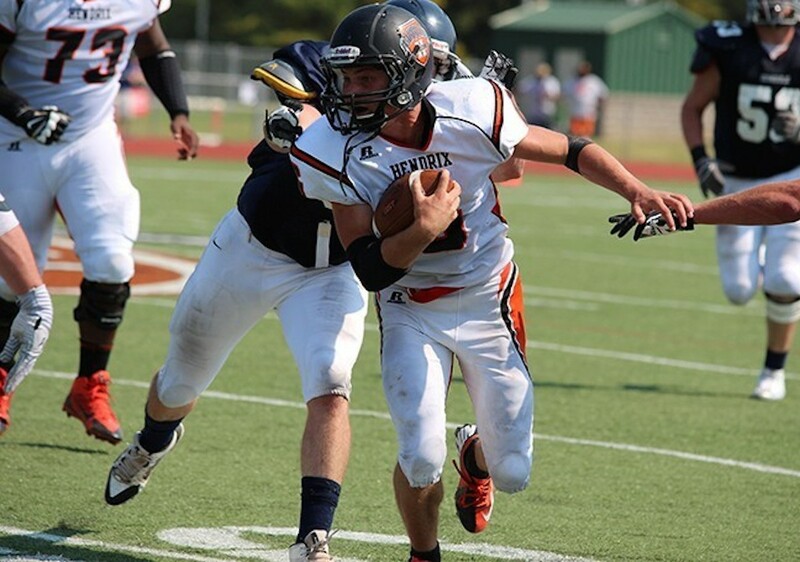 There will be a country breakfast served on Saturday and Sunday morning from 7 a.m.-10 a.m. The breakfast is famous and only $8, so make plans now to attend! Winfest is a live music, arts and crafts, and family festival in Winslow, Arkansas. Since 1983 talented musicians, vendors and families from all over North West Arkansas congregate in the small town of Winslow to enjoy a full day of food, fun and entertainment. Beautiful scenery, fresh mountain air and groovy tunes provide a wonderful atmosphere for this community event. Proceeds from this festival are used to fund Winslow Community Meals and other valuable community programs. 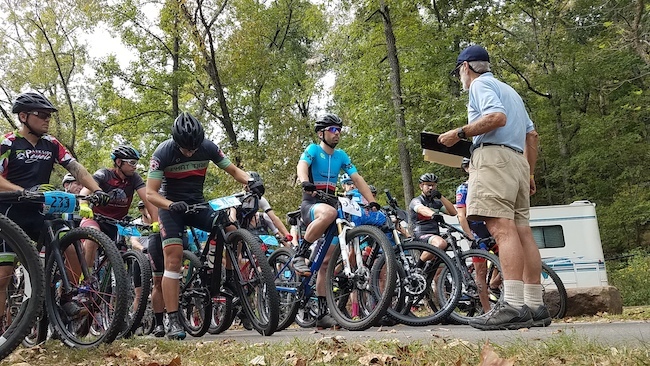 Time: Gates Open at 11 a.m., Music starts at 12 p.m.
What’s a mountain bike race without the trails at Devil’s Den State Park? 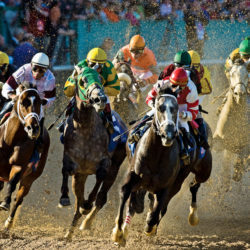 You can ride in this race or just enjoy watching all levels of riders compete. Click below for registration details. There will be awards, food and a cool swag bag! Admission: It is free to watch, but there is a registration fee to compete. 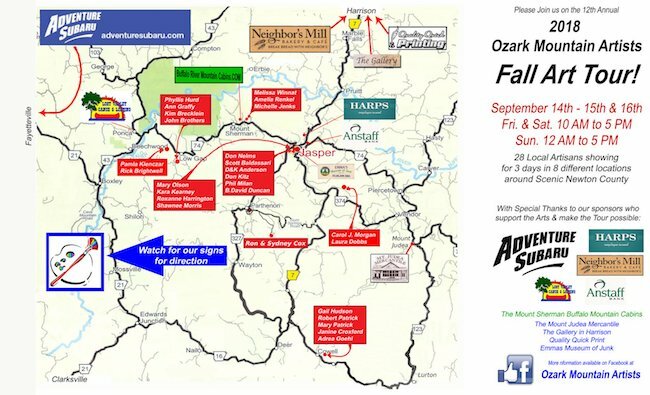 The Ozark Mountain Artists 12th Annual Fall Tour will be Sept. 14-16 in Newton County. This is a free, self-guided tour of different exhibits located throughout the county. 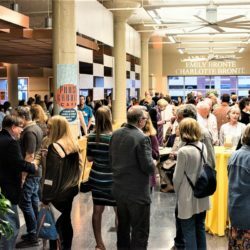 Twenty-eight artists will be exhibiting their work in a variety of media in eight different exhibit locations. 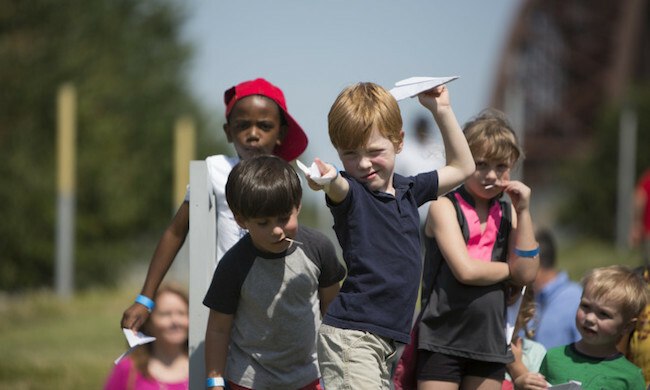 Test your paper airplane skills and meet World Record Holder John Collins at the Little Rock Paper Airplane Championship on Saturday, Sept. 15 at the Clinton School of Public Service. The third annual event includes competitions for distance and airtime, age divisions for children and adults and trophies for 1st, 2nd & 3rd place in all divisions. 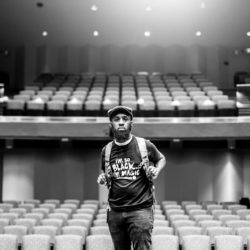 The event is a fundraiser for the Lymphomaniac Society, a Little Rock-based 501(c) (3) nonprofit organization that provides weekend trips to cancer survivors. Admission: $20 in advance, day-of registration is $25 (all registrations include ALL family members). 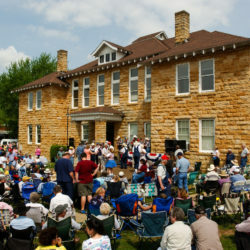 The Beatles at the Ridge Music Festival, which takes place in historic downtown Walnut Ridge, is one of the fastest growing festivals in the South. The event team was recognized with the “Welcome to Arkansas” award and a “Henry Award” at the 2013 Arkansas Governor’s Conference on Tourism. 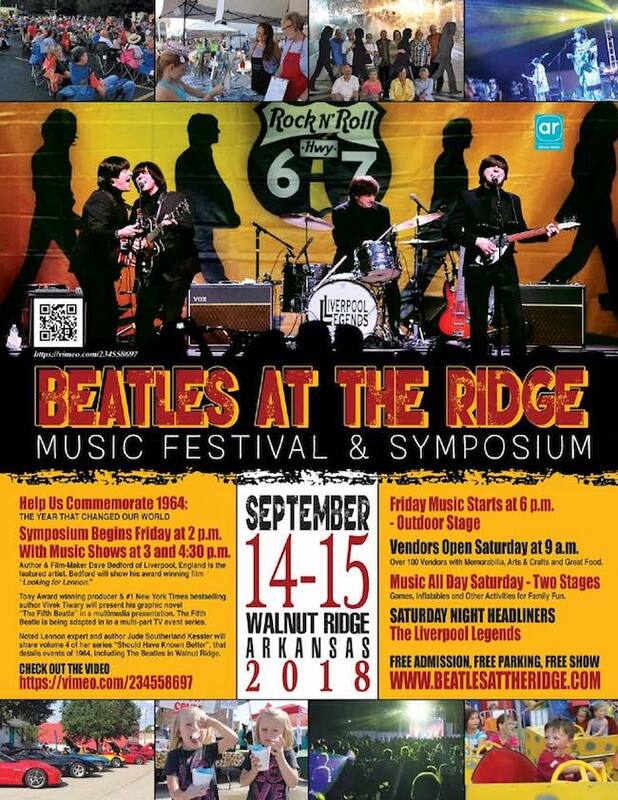 Beatles at the Ridge Music Festival was also recognized as “Top New Festival in Arkansas,” by the Arkansas Festival and Events Association. This award-winning festival is a symposium comprised of noted Beatles experts and speakers from all over the U.S. and England. There will be over 100 vendors, kids activities, a car show, a Hot Wings Cook-off and two stages of music all day. Concluding the event will be the internationally acclaimed Liverpool Legends concert. Bring lawn chairs for the concert. Pumpkin Hollow opens this weekend on September 15th! Unlike Pumpkin Hollow’s Forest of Fright, the Friendly Forest is designed by the folks at Pumpkin Hollow just for children and the faint-of-heart. There will be new scenes and interactive displays. Spend some time playing on the Pumpkin Hollow “Pirate Ship” playlet and in the covered wagon. 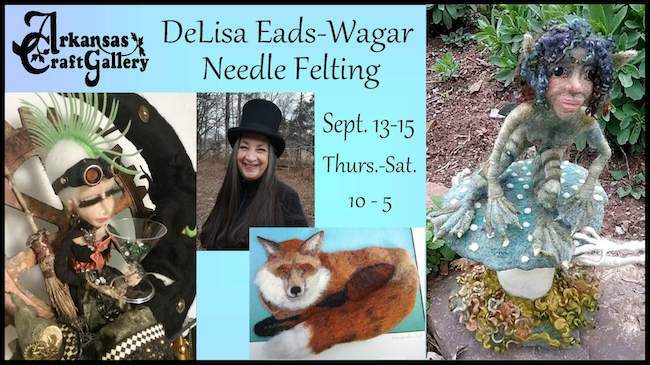 DeLisa Eads-Wager will be creating her unique felted sculpture in 3D at the Arkansas Craft Gallery Thursday-Saturday, Sept. 13-15, from 10 a.m. to 5 p.m. She leans toward the unusual, weird and wonderfully fantastic, playing with animals, fairies, gnomes, witches and the make-believe. She says “I am a hands-on fiber artist! Anything textile fills my head with possibilities and my heart with desire. As far back as I can remember I have been artistic, always a crayon in my hand. Although I have never had any formal training, it is probably a good thing, as I’m a rule breaker.” While in the gallery demonstration room DeLisa plans to have a large project that everyone can play with to get a feel for how the technique works. 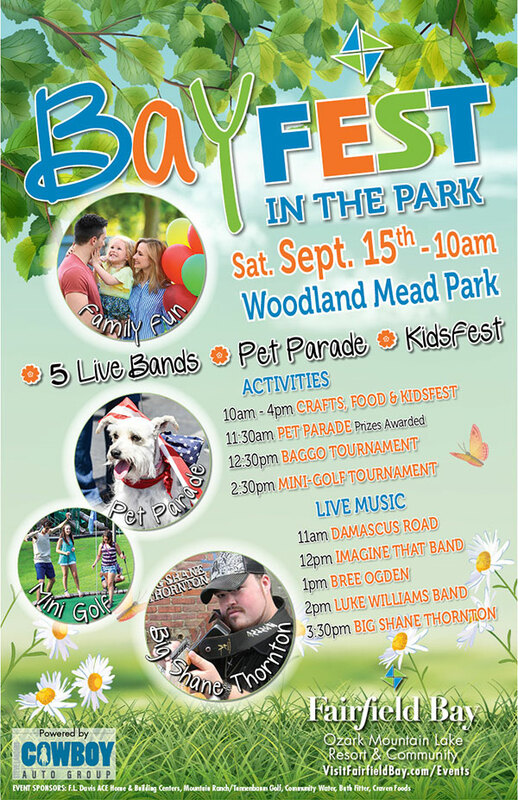 This festival is a pet and family friendly event that packs in a ton of activities all day long. Bring a hearty appetite, as a portion of the proceeds from food sales will benefit the Fairfield Bay Animal Shelter! 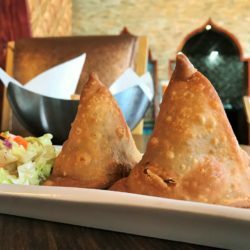 Time: 10 a.m. — 4 p.m. 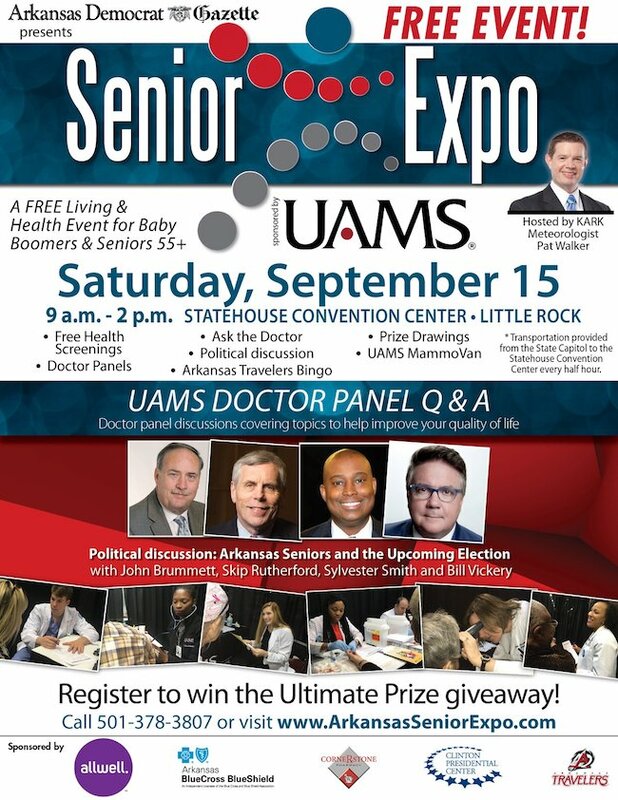 The health event includes seminars, health screenings, entertainment and bingo. Free transportation every half-hour; prizes are given away every hour, concluding with a grand prize drawing at the end of the show. Time: 9 a.m. — 2 p.m.